A little 1 1/2″ block for your enjoyment. A Friendship Star variation. 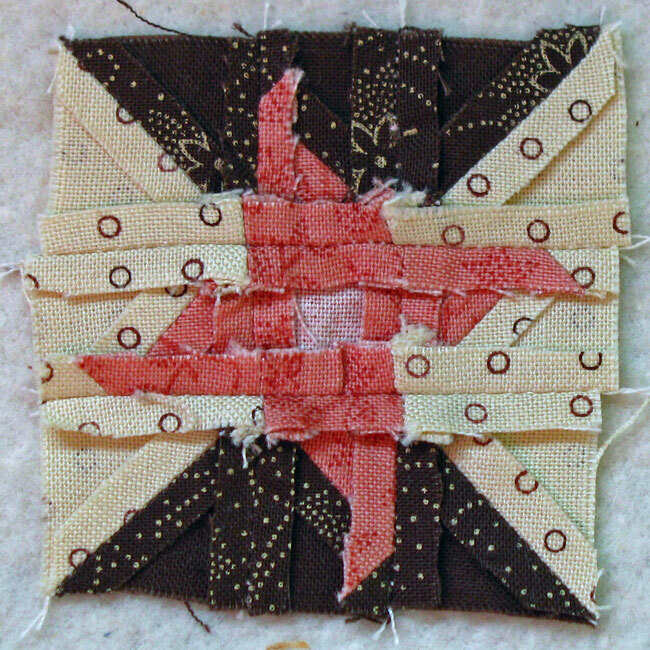 Sew triangles together and sew into rows. TRIM AND PRESS ALL SEAMS OPEN. 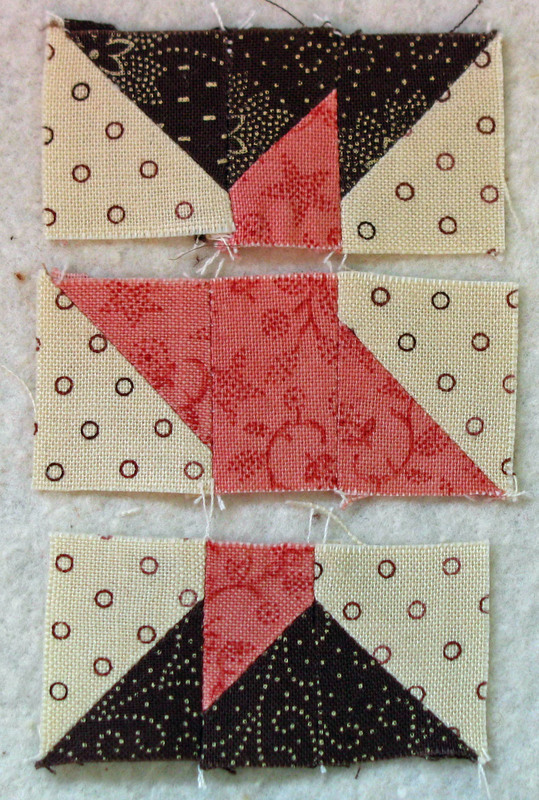 You can get different secondary patterns depending on the way you sew them together. Do you see the S? Quilted, aged and ready for a collage. For a pdf version go here to download. I like that version of the friendship star. The blocks are really cute. 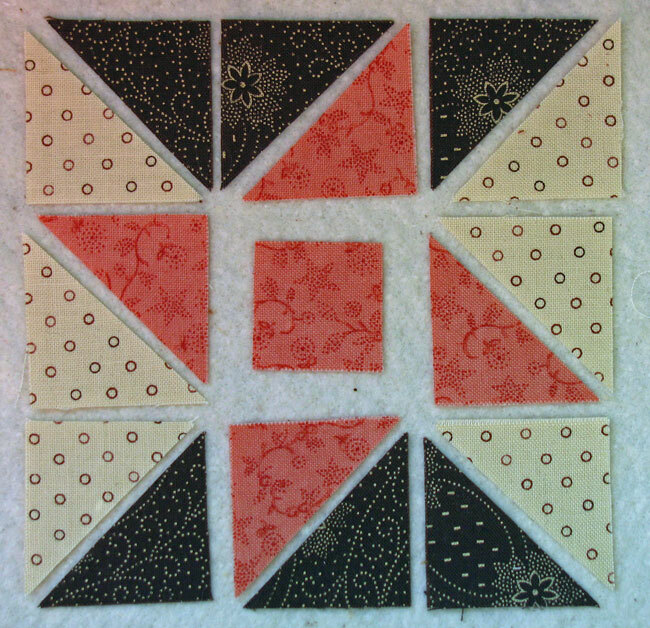 ohhh I love love love this block and the way you’ve shown your steps! *sigh* I’m always inspired when I pop over here!!! 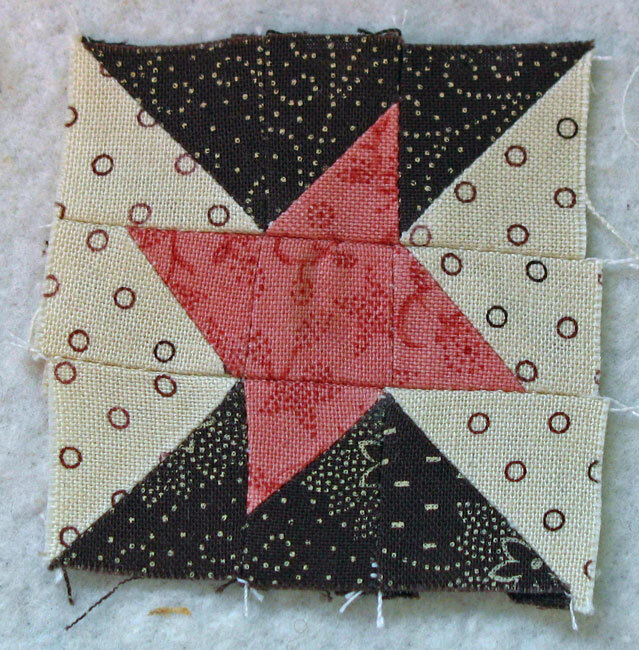 Thanks so much for the Friendly Star pattern and great directions on how to make it. I especially appreciate the hints on the pressing. I am getting a nice little collection of the miniature patterns. These are so darling! I made some little dresdens from your Christmas pattern and posted them on my blog. They were such fun to make. Thank you so much! !